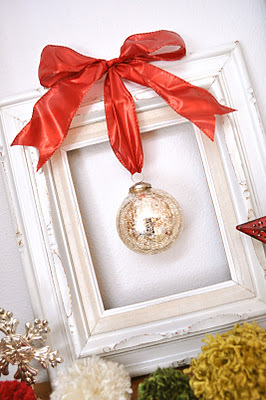 This framed ornament is a great way to display a special ornament or use an ornament that matches your decor to create a custom Christmas decoration. It would look great hanging on your front door in place of a Christmas wreath too. You can check out the framed wreath tutorial over at Little Birdie Secrets.